(I just wanna Sign-Up) ********************* How to make an outstanding cup of coffee that your customers and guests will return for more? Our quality hands-on approach will help you learn the Art and Science of brewing espresso beverages using commercial machines. We have been conducting Barista Class in Malaysia over the past 4 years. Come join our courses for an exciting journey into the world of gourmet coffee. Who Should Attend? Planning to start a cafe and want to serve quality coffee. Existing cafe owners who have yet to learn the skills of proper espresso brewing techniques. Those who want to make excellent coffee at home like a Professional. Be a true blue Home Barista. No previous coffee making experience needed. 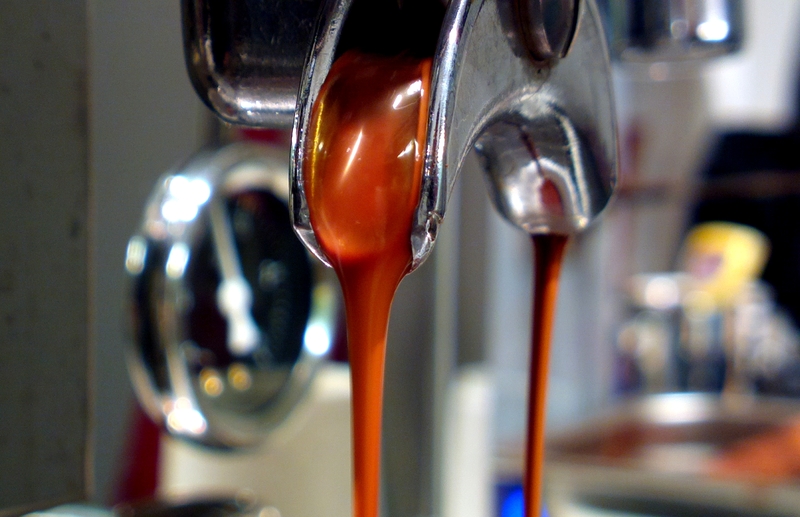 Have an open mind and be ready to embrace new coffee making techniques. You are leaning skill sets that very few people have. Overview of the journey from beans to cup. Essential principles in coffee making. Theory in Milk Frothing techniques. This entry was posted in Malaysia on September 15, 2013 by KF Chan. i would like to enquiry for barista class, when is the next class? Yes. I would like to know when coming course start and how long the classes. Hi ,i m here to enquire abt coffee courses.Do you provide any courses for someone who know 0 abt coffee n would like to venture into small cafe business? Looking forward to hear from u soon . I have roasted 100% Arabica Coffee bean Doi Kham for sale at RM 90 for 500grams pack. Would you be interested in try out this coffee, and to give a comment. please update me for future classes. Hello! When is your next class starting and how long is the course? Email me at stitch8@live.com. Thanks. When is your next class starting ? how long is the course ? diploma given ? 1) How long is the duration? 2) When is the next intake? Let me know on the next course session. Will join for sure! Thank you. Can i know the course is for how many days ? Can i have the schedule for the course? im really interested to join the course.. Do send me further details. Hi would like to attend the barista course. when is your next class ? Can i know more detail as in time table for the class, venue , etc. please email a full detail to my email. Thank you. Interested for the course you provide. Please email me course detail. Hi, i am interested in the training. please email me the details of coming class. thank you. My brother and I are interested in your program. Do you have any class planned in December 2014? Please let us know. Thanks. I’m interested in your program. Do you have any class schedule on 2015? Please let me know. Thanks. Any course available now till 15feb 2015? Hi,is there any fees?can u share the session on my email? When is the next session?And what is the fees like for basic and advanced barista?? I am new and is interested in starting coffee brewing. Please email me with details. Thanks. Really interested to learn coffee art and make nice coffee. Pls kindly provide the class details. Thank you much! I am a coffee lover, and i am.interested to learn the how to my self. Beginer level. Pls let me know when there is a next workshop. Hi, im interested in the beginner barista class. Please email me the details of the course. Thanks! When beginner coffee art latte? Hi, I hope can learn to make the coffee.Can teach me from the zero? Hope you can email me detail of the couse. Hi, interested in beginner barista class. Do update me through my email. Thanks. When is the beginner course? Plz let me know the schedule and fee. Hello, I’m from Pakistan and am willing to start my business here in my country after getting handful training of the course,. Please let me know when registration is opening. When is your next beginner class? I am from Brunei and i will be in KL on 14th Oct to 18th Oct. I will like to join if the time suit me. Pls advise. Hello, I’m interested in setting up coffee shop in Pakistan and for this purpose I’m willing to get training. Please advise me the admission procedure and cost of training.